Dulcie Schwartz and her feline friends get tangled up in this mysterious yarn . . . - Caught between a distracted supervisor and university politics, Dulcie's doctoral thesis looks doomed. When she stumbles across the bloodied body of a fellow student, things couldn't get any worse. Unless her mother's dreams turn out to be premonitions and Dulcie's work has all been in vain . 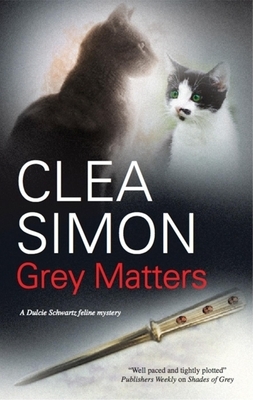 . . With the ghost of Mr Grey - her wise and loyal late, great cat - strangely silent, and her new kitten refusing to speak, this time Dulcie might just be on her own.